Djika demikian tanggoenglah oléhmu; . . . katja 124. 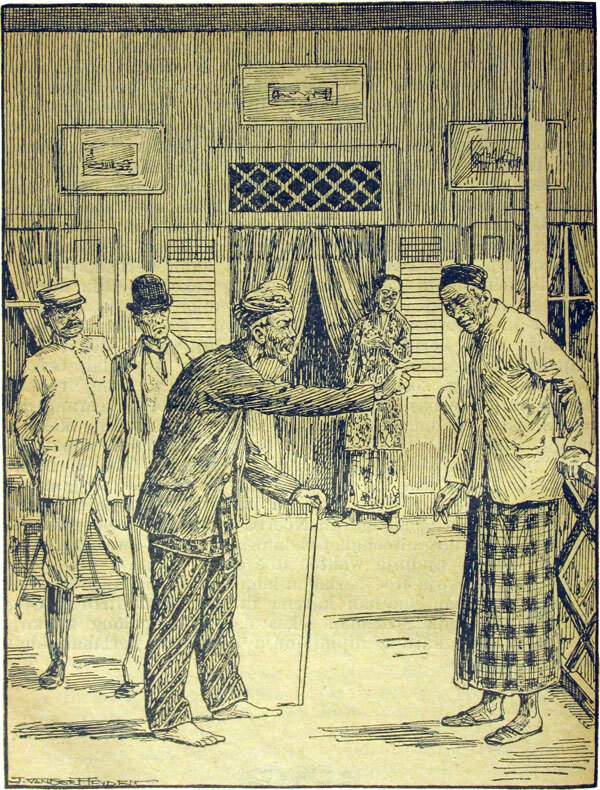 Noerbaja’s father can’t pay his debt to Datoek Meringgih, who threatens to take him to the Dutch authorities by whose law he’ll lose everything. It’s at this point that Noerbaja resolves to save her father by submitting and becoming Meringgih’s wife. This from Noerbaja’s tear-blurred letter to Samsoe.